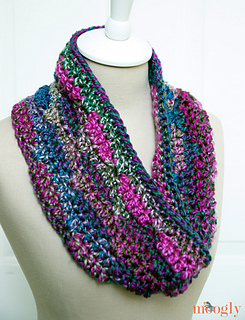 The Luscious One Skein Cowl can be made in just one evening, using one skein of bulky yarn. It is just long enough to drape beautifully and frame the face (and keep the chest warm!). 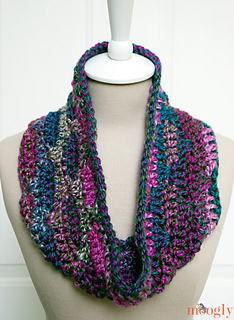 If you prefer a longer infinity scarf style, you’ll need another skein or two, but it’s easy to up-size!